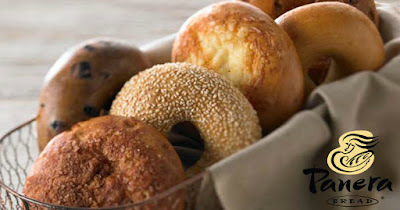 Savvy Spending: Panera Bread: $3 off a Rapid Pick Up order of $6 ore more! Half Dozen Bagels for just $3.25! Panera Bread: $3 off a Rapid Pick Up order of $6 ore more! Half Dozen Bagels for just $3.25! Now through December 31st, Panera is offering $3 off your Rapid Pick Up Order of $6 or more when you use promo code RPUDB at checkout! Just click on ‘Rapid Pick Up’ and then place your order! A half dozen bagels is just $6.25, so you can use the coupon code to get them for $3.25!